Sheer lace, stretch cotton lining in cups. Adjustable and removable straps for cross-back and halter-style wear. 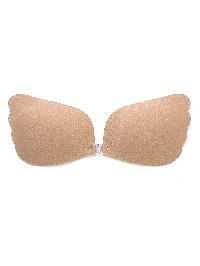 Wide, elasticized lacy band under bust.